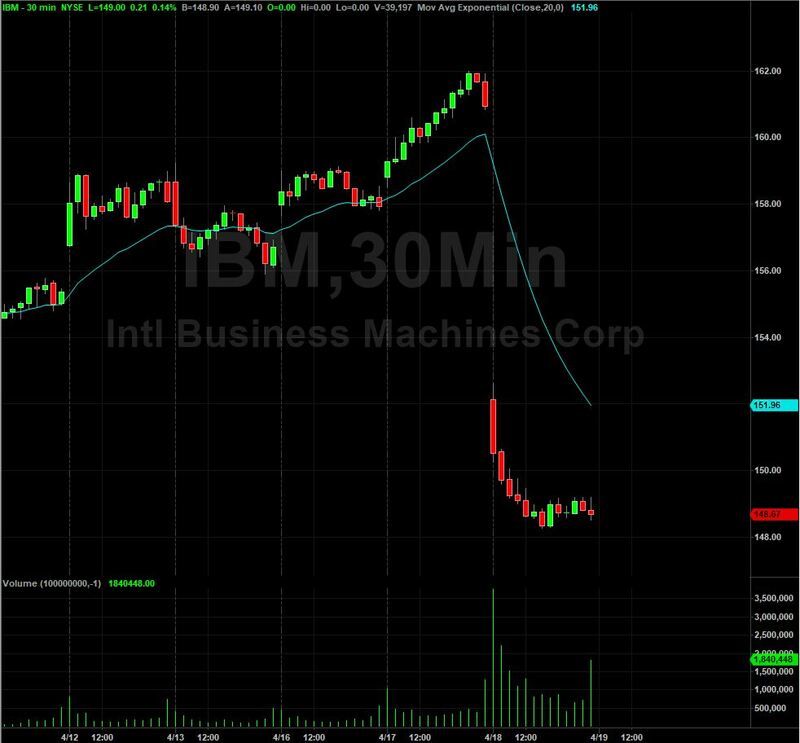 International Business Machines Corporation saw its shares plunge 7.5% on Wednesday during midday trade. The company announced its earnings for first quarter of fiscal 2018 on Tuesday. The earnings appeared to edge above Wall Street expectations and provided a downbeat outlook to some degree. The performance of the company’s stock on Wednesday was the worst since Apr. 19, 2013. The shares lost $12.13, or 7.54% to close the day at $148.79. 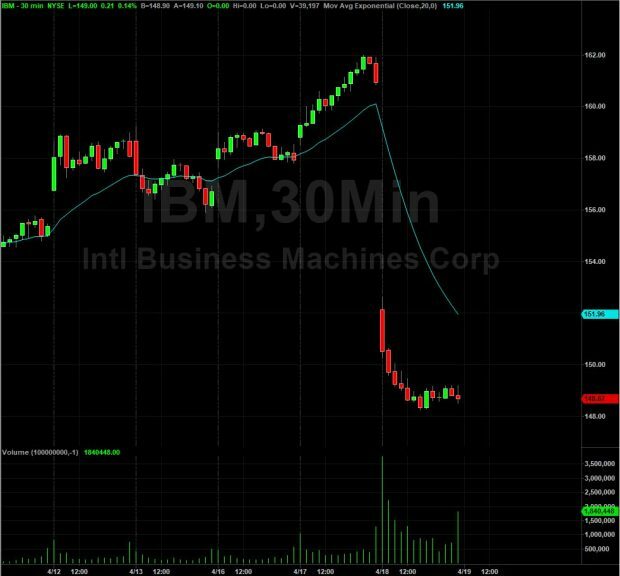 IBM revenue for Q1 of 2018 increased by 5% to $19.1 billion. Adjusted earnings per share grew by 4% to $2.45. Analysts had been anticipating adjusted earnings per share of $2.40 on $18.8 billion revenue. The company’s gross profit margin dipped by 0.7% from a similar quarter in the previous year. Analysts were also expecting the margins to improve as the company had shifted its business mix and streamlined its workforce towards more money-making business lines last year. Net income dropped to $1.7 billion, or 4% based on formal principles of accounting.